Kyle’s athletic journey began as an 11-year-old that wanted to wrestle and a coach that gave him an opportunity to try. After losing every single match his first year and most his second, Maynard, with his iron will and parents who wouldn’t let him give up on himself, found a way to win 36 varsity matches his senior year; defeating several state place finishers and state champions during his final season. Maynard also began weight training at the same age, and after a very modest start, he attained the title “GNC’s World’s Strongest Teen” by bench pressing 23 repetitions of 240 lbs. In February of 2009, with leather straps and chains attached to his arms, he successfully lifted 420 lbs. But Kyle Maynard’s accomplishments extend far beyond the wrestling mat or weight room. He is the 2004 ESPY Award winner (Best Athlete with a Disability), and a year later was inducted into the National Wrestling Hall of Fame. In 2007, he was elected by the U.S. Jaycees as one of the Top Ten Outstanding Young Americans. In 2008, Maynard received the Highest Recognition Award of the Secretary of Health and Human Services for his efforts as a life role model, motivational speaker and humanitarian. Maynard is also certified as a CrossFit instructor and in 2008 he saw one of his most fervent dreams become a reality when he built and opened his first fitness center, No Excuses CrossFit. 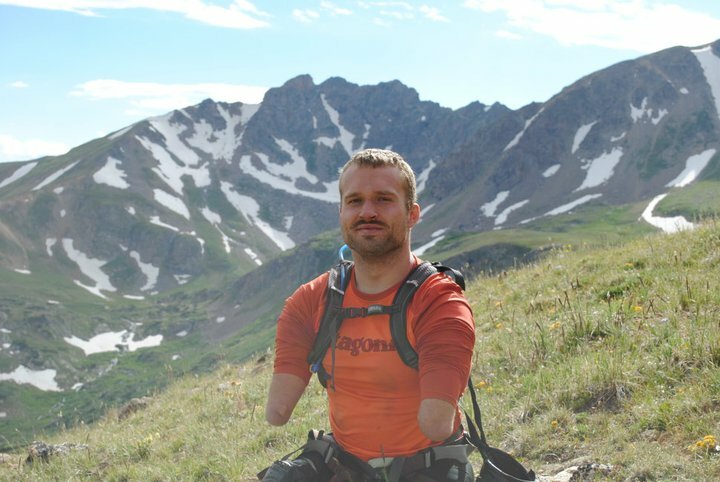 For the past seven years Kyle Maynard has traveled to five continents speaking for corporate meetings, grade schools, universities, and programs supporting injured American veterans. He’s shared the stage with the world’s greatest minds in business, politics, sports, and motivation. Whether he’s in front of a middle school classroom or thousands in a convention hall, Kyle says his life’s deepest passion is helping each audience on their path towards reaching their highest human potential. HBO Real Sports corespondent, Bernie Goldberg, summed it up best when he said, “Kyle’s taken away the right to complain from the rest of us.” To book inspirational speaker, Kyle Maynard call Executive Speakers Bureau at 800-754-9404.